Enliven your natural senses with the Croma C 100 3-Spray Handshower in brushed nickel. HansGrohe's Croma C 100 handshower creates a luxury shower experience sure to convalesce your senses. 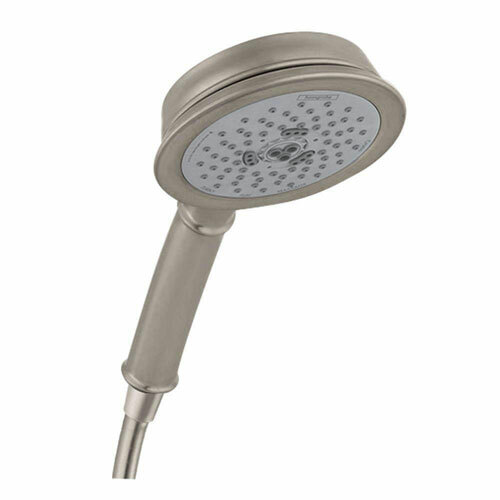 With a simple installation, this handshower offers a full, pulsating massage, and intense turbo massage designed to create an enveloping feeling of water surrounding you, and maintain unsurpassed performance. A handshower also delivers a more invigorating shower, through the increased warmth and intensity that result from bringing the spray closer to the body.